Advantech Wireless has received follow up orders from Military Customers for the firm's X-band line of Gallium Nitride (GaN) technology based Solid State Power Amplifiers (SSPAs) and Block Up Converters (BUCs) designed for Tactical Mobile Military Applications. This latest generation of X-band GaN based SSPAs/BUCs from Advantech Wireless feature exceptional linearity and operating efficiency. These advanced systems are extremely versatile and perfectly suited for harsh environments, Satcom on the Move (SOTM) and man-pack terminal deployments. The X-band GaN based BUCs from Advantech Wireless are weatherproof and constructed in a compact cooling enclosure for outdoor operation. Based on ruggedized designs these BUCs are the smallest fully integrated units on the market today and are enabling new terminal designs for both mobile and on the halt tactical communication systems. Cristi Damian, the Vice President of Business Development at Advantech Wireless stated that to-date the company has received orders for more than 300 units, with the high linearity combined with small size, and low energy consumption appreciated by customers. The GaN X-band line of SSPAs is versatile, with small form factor units for mobile applications, to medium power for maritime, and very high power for large teleports. According to the company, several models are either already WGS certified, or in the process of certification. SES offers a broad range of solutions to support humanitarian and disaster relief efforts across the globe. Some of these efforts were showcased during the Humanitarian ICT (Information and Communications Technology) Forum that was organized by the United Nations Office for the Coordination of Humanitarian Affairs (OCHA) and Emergency Telecommunications Cluster (ETC). SES’s satellite solutions can help to restore essential communication links, ensuring immediate coverage via capacity reserved for relief efforts and support for multiple end-to-end humanitarian services. Emergency.lu, a multi-layer platform, which includes a portable Rapid Deployment Kit delivering connectivity via SES satellites, has been devised to support first responders’ efforts. SES’s capabilities go beyond enabling quick humanitarian relief efforts and supporting the immediate needs of first responders. 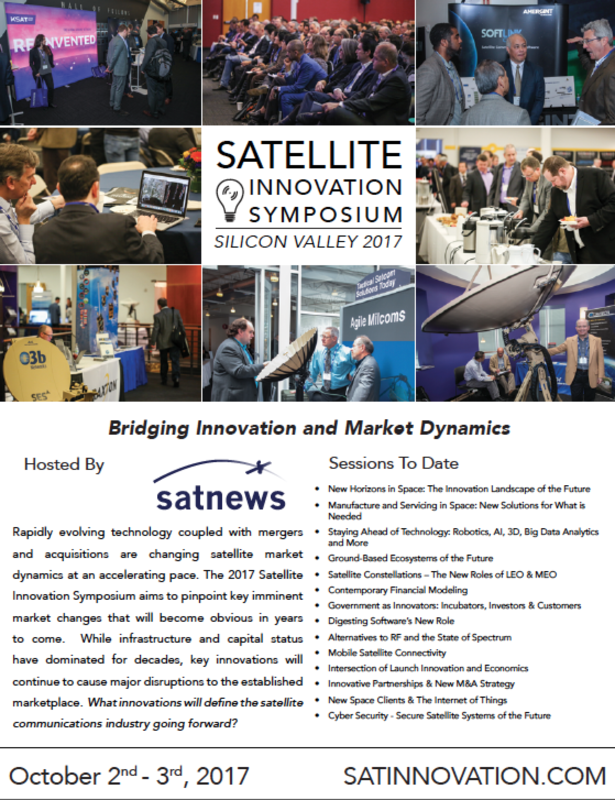 At this year’s Humanitarian ICT Forum, SES unveiled its new SATCOM-enabled solution, Government+ Rapid Response Vehicle (RRV). 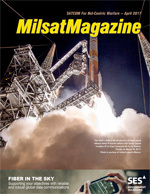 Using a combination of GEO (Geostationary Earth Orbit) and MEO (Medium Earth Orbit) satellite connectivity, RRV can enable wireless Internet access for refugee camps and communities, reinforce downed public infrastructure, and provide IP backhaul for mobile networks and long-term connectivity for agencies on the ground. High-definition video conferencing, streaming, GSM backhaul, cloud-based services and high-speed broadband in locations where infrastructure is non-existent or destroyed—are only a few of the applications the RRV can provide. The plug-and-play modular RRV solution can easily integrate and deploy an array of communications technologies and devices aboard its mobile vehicle, including the emergency.lu disaster recovery platform, SES Government+ persistent surveillance aerostat or SATMED telemedicine service. The RRV is equipped with wireless capabilities, including MIMO (Multiple Input Multiple Output) SDR radio technology that provides humanitarian aid teams with an expansive mesh type, frequency programmable, mobile communications platform that supports private 3G and 4G LTE networks. Nicole Robinson, the Head of Government Market Solutions Centre at SES, commented that SES’s launch of the Government+ Rapid Response Vehicle is a natural and exciting extension of the company’s vast experience and the technological advancements SES has honed for decades in support of humanitarian efforts around the globe. Whether these are aid missions in response to natural or technological disasters or humanitarian operations, the SES RRV platform can provide tailored multi-band, multi-orbit connectivity to support virtually any situation imaginable, anywhere in the world. Roccor, a disruptive aerospace supplier, has finalized an agreement with Air Force Research Laboratory, Space Vehicles Directorate (AFRL) to license patents of High Strain Component (HSC) technology. These patents will enable Roccor to build a large number of Solar Array Development Systems (SADS) to support mega-constellations. Roccor recently moved into a dedicated expansion of their world-class facility in Longmont, Colorado, which allows for high volume production of the company’s HSC boom product. The HSC boom uses AFRL’s HSC technology controlling the release mechanism and kinematic mounts while in space. These mechanisms support Roccor’s SADS, enable seamless deployment of solar arrays and allow electrical energy generation to power the constellation via the solar panels. This mass production of SADS serves as the foundation for large constellation support. The HSC technology is also being leveraged for a number of other customer applications including deployable hinges and antenna systems for other commercial and military customers. Roccor’s work with AFRL represents a technology transfer agreement used by the Air Force to share government developed engineering related to design or manufacturing activities with external, non-DoD partners. The Air Force Technology Transfer (T2) Program was created to ensure Air Force science and engineering activities are transferred or intentionally shared with state and local governments, academia and industry. The exchange of knowledge, expertise, equipment, and testing facilities leverages the Department of Defense (DoD) research and development investment. Signal Soldiers in the Army have to contend with laying hundreds or even thousands of meters of networking cables throughout a tactical operations center (TOC) while in the field either in garrison or deployed. What if there was a way to eliminate the need for all the excess cables and allow Soldiers to communicate seamlessly while using their Warfighter Information Network-Tactical (WIN-T) systems? Instructors from Training Support Division, Communications-Electronics Command (CECOM), based out of Fort Gordon, Georgia, provided training to the Bronco Soldiers. This new system will allow signal units to hook up clients, even their network managers wirelessly to the system, said Aristide. Increased data speeds were also an important feature for the wireless system. 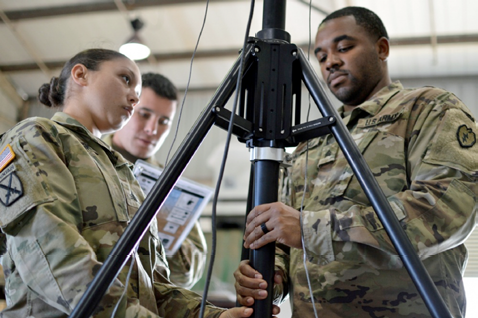 According to David Givens, an instructor from TSD, CECOM, the new technology is the first time the Army is getting wireless services within its tactical and non-tactical environment. “This system will give brigade commanders the ability to be mobile when they’re working in their TOCs, instead of being stationary with landlines,” Givens said. Previously, if commanders wanted to get their feeds from their various battlefield services, the commanders would be confined to their TOC for their updates. 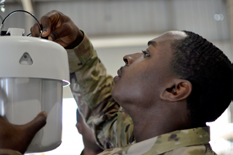 Bronco Soldiers found the instruction and setup of the wireless system rather easy as they received hands-on instructions by Aristide and Givens. 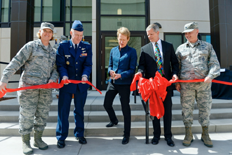 National Reconnaissance Office Operations Squadron held a ribbon cutting ceremony at Schriever Air Force Base in Colorado to mark the grand opening of their new building late last month, operational as of April 6. More than 75 Airmen, civilians, military and community leaders witnessed the unveiling of the 19,985 square foot facility. NOPS links NRO satellites that are critical to US national security to the Air Force Satellite Control Network; the squadron facilitates the design, build and operation of the nation's reconnaissance satellites, providing products to customers including the CIA and Department of Defense (DoD), that can warn of potential trouble spots around the world, help plan military operations and monitor the environment. The new facility features development and work areas, command section, front office staff, a visitor area, conference rooms, a break room, emergency storage and security. “We could not have done all of this without base support,” said Capt. Derrick Burnett, NOPS chief of Mission Operations. Col. Matthew Skeen, Office of Space Launch director, attended the ribbon cutting ceremony and spoke of those who contributed to the success of the new annex.